The immensely popular Elisa Viihde entertainment service started out as a co-development project between the telecommunications company Elisa and the City of Helsinki. Nearly every Finnish person is familiar with Elisa Viihde, but few are aware that the City of Helsinki was involved in its development. The City helped Elisa find residents in Helsinki who would test the first versions of Elisa Viihde in their homes in the early 2000s. Large and heavy devices were installed at each home to transfer the video. A few years later, after network infrastructure had advanced, Elisa Viihde was made available to regular consumers. Testing Elisa Viihde with Helsinki was a success and it revealed a need for a company within which different companies and public sector operators could develop digital urban solutions together. Forum Virium Helsinki was founded for this purpose in 2005, and Elisa was closely involved from the start. Over the years, the companies have tested innovations such as district-specific online television, 3D modelling and photo and video sharing between day care centres and parents. 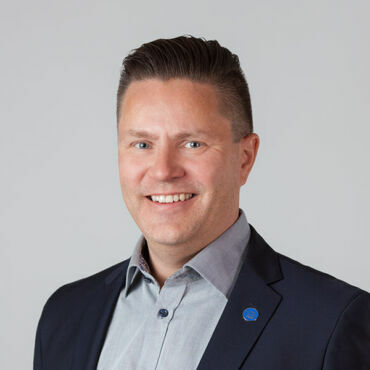 At the moment, Elisa’s Sales Director Mikko Pitkänen is a board member of Forum Virium Helsinki Oy, and Elisa’s Principal Consultant Kari Lehtinen is in the steering group of Forum Virium. The local collaboration creates synergies for both Forum Virium Helsinki and Elisa. When Elisa needs pilot subjects for its services, Forum Virium can offer piloting opportunities in the urban environment. Forum Virium is not afraid of new business models, which is why it has become a internationally recognised force in urban development. “Helsinki is our core business area, Elisa’s home ground. Networking with Helsinki-based businesses is essential to find new development opportunities and technological applications. Forum Virium creates first-class conditions for networking. Finnish companies are still not utilising the full potential of local networking; they often consider international partners to be more worthy of pursuing,” Mikko Pitkänen says. Mika Malin, the head of Forum Virium Helsinki, sees Elisa as one of their most important partner businesses. “Forum Virium’s goal is to make Helsinki the most functional smart city in the world. This is only possible through close collaboration with companies like Elisa, as well as the scientific community and residents. Co-development of cities is a growing trend,” Malin says. In the last few years, various IoT projects have been at the core of Helsinki’s smart development. Elisa has been actively involved in turning underutilised facilities into flexi spaces. The idea is that housing co-operatives can use smart locks and online reservation systems to let their underutilised facilities to be used or rented by anyone. When both companies and residents are participating in a development project, services can be offered to various user groups at the same time. When different user groups are taken into consideration as early in the development as possible, the finished services are more user-focused and suitable. In the future, Elisa and Forum Virium Helsinki will introduce robot buses into Helsinki’s public transport system with the FABULOS project. The pilot will be implemented in the area between Pasila and Kalasatama in 2018–2020. “We will also start searching for suitable locations for testing 5G platforms. Our co-development will be visible in the design of future 5G products and services as we’re looking for applications that could also be used by the City. In the future, 5G platforms will allow us to use automation and robotics more effectively in traffic and in the overall design of smart cities,” Pitkänen says, explaining the company’s goals. Back in the day, the collaboration between Elisa Viihde and the City of Helsinki resulted in the creation of one of the most popular entertainment services in Finland. Now, the success is set to be repeated in the development of smart public transport in Helsinki. The result will be the world’s most functional smart city where people enjoy using technological advancements in their everyday life.